Step into our office… If you’re looking to add a little flavor to your meeting or function, look no further than Miss Shirley’s Cafe. 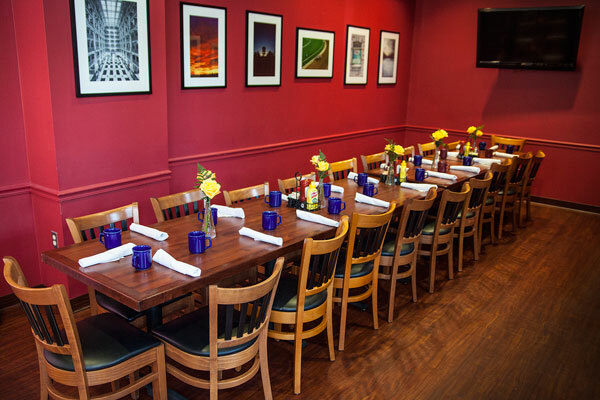 With private and secluded dining areas at all of our locations –Roland Park, Inner Harbor, and Annapolis—we provide you with inventive fare, exceptional service, and an atmosphere for a productive, and memorable event. 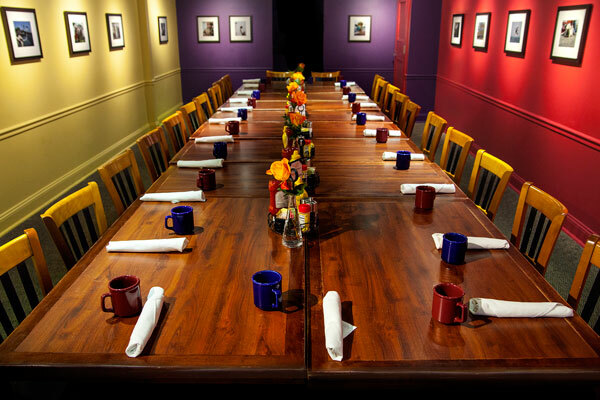 Why choose Miss Shirley’s Cafe to hold your next business meeting or event? 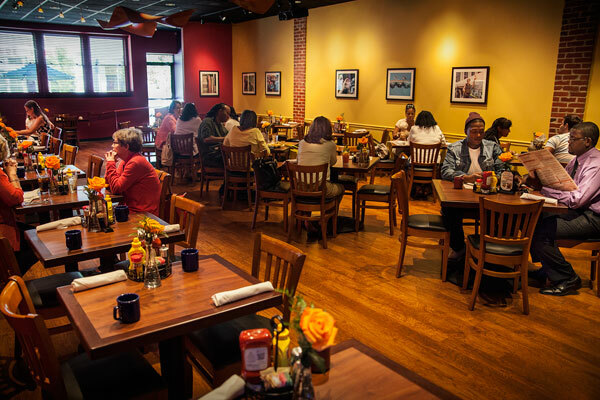 Whether you are looking to show employee appreciation, celebrate a birthday or anniversary, congratulate a birth or retirement, praise your sports team season, hold a community meeting, or land that big business deal, reserve your weekday meeting with Miss Shirley’s Café today! The Terrace Dining Room is an ideal space for 20-30 guests. It is a versatile dining space that helps cultivate success for a variety of different occasions. Recent events range from productive networking meetings, to intimate baby showers, to spirited sweet sixteens. This open mezzanine allows your party to be a part of the energy of the restaurant while still maintaining the exclusivity of a private gathering. The East Room holds up to 16 guests and is great for early-morning team meetings. Adjacent to the main dining room, the East Room is just steps from the heart of the restaurant, yet still providing a secluded, intimate nook that is very conducive to focus, productivity, and creativity. The Rock Room holds up to 60-80 guests and has multimedia capabilities including a projector, presentation screen and audio & Wi-Fi access. The large, open space is perfect for larger meetings and networking events, receptions, team appreciation parties, holiday get-togethers and any other sort of daytime gathering. This room can be completely private and has its own restrooms. 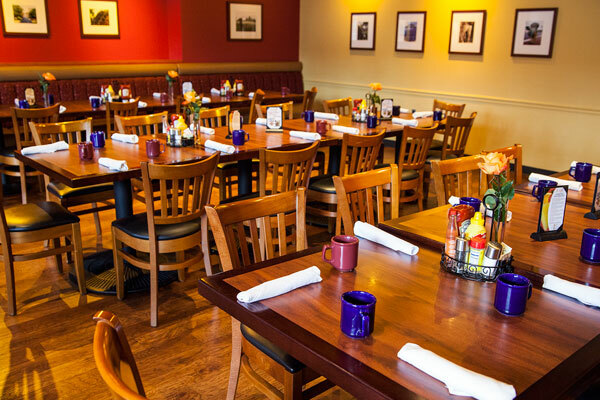 The private dining room holds up to 30 guests and is great for early-morning team meetings or private luncheons. Adjoining to the main dining room, the private dining room is just steps from the heart of the restaurant, yet still providing a secluded, intimate nook that is very conducive to focus, productivity, and creativity. 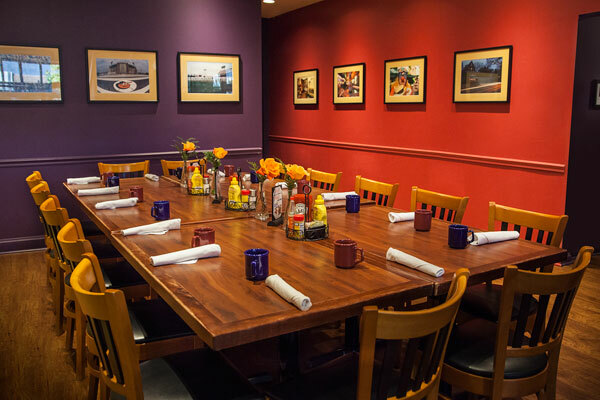 The semi-private dining room holds up to 40-60 guests and is perfect for early-morning weekday team meetings or luncheons. The open space is perfect for larger meetings and networking events, receptions, team appreciation parties, holiday get-togethers and any other sort of daytime gathering.